I think the eclipse threw me off my game last week. Looking at the shadowed sun through those 3D glasses must have messed up my equilibrium or something. I fell behind in everything that I needed to do for the week. 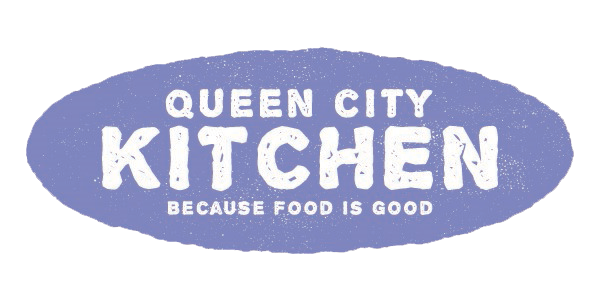 Before I knew it, it was Thursday, and I didn’t have a recipe for Saturday’s scheduled cooking demo on Good Day Charlotte. I didn’t have the time or the mental energy to come up with an elaborate recipe for the segment. All I could do was keep the dish simple and make it good. Since it’s at the peak of peach season, something peachy seemed like a good idea. Pie and cobbler came to mind first, but I wanted to do something a little different. I came across a recipe for strawberry rhubarb shortcakes while flipping through a food magazine for inspiration, and I thought a peach version of the old-fashioned dessert would be perfect for a last-minute cooking demo. I marinated a few firm peaches in a bourbon simple syrup for added flavor and to soften them up a bit. Then I added a touch of cinnamon to the cream to complement the bourbon-soaked peaches. After the crazy week I had, a little bourbon just seemed like a good idea for the peaches and in a glass over ice. Sift the flour, 1 tablespoon sugar, the baking powder, and salt into the bowl. Add the flour mixture to a food processor fitted with the blade attachment. Add the butter and pulse until the butter is the size of peas. Combine the eggs and heavy cream and quickly add to the flour and butter mixture. Pulse until just combined. The dough will be sticky. Dump the dough out onto a well-floured surface. With floured hands, pat the dough out ¾-inch thick. Cut out biscuits with a 2 3/4-inch cutter and place on a parchment-lined baking sheet. Brush the tops of the biscuits with the egg wash. Sprinkle with the turbinado sugar and bake until the bottoms are slightly golden, about 20 minutes. Cool the biscuits in the pan on a wire rack. 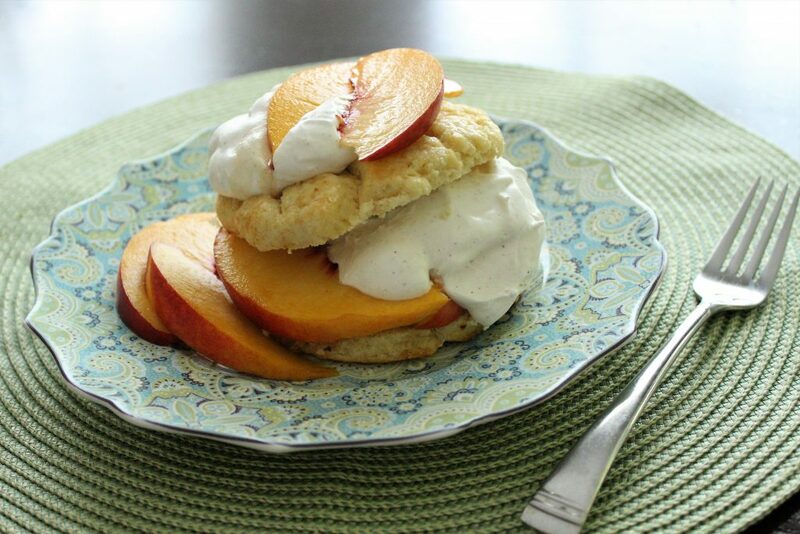 While the biscuits cool, make the peaches and whipped cream. Bring the sugar and ¼ cup water to a boil in a small saucepan over medium-high heat. Remove pan from the heat and cool for 10 minutes. Stir in the bourbon and lemon juice. Cut the peaches in half lengthwise and remove the pits. Cut each half lengthwise into ½-inch-thick slices and put them in a medium bowl. Pour the bourbon sugar syrup over the peaches and toss gently to c oat completely. Cover the bowl with plastic wrap and refrigerate the peaches for at least 30 minutes and up to 2 hours. Whip the cream and sugar in the bowl of an electric mixer fitted with a whisk attachment until soft peaks form. Add the vanilla and cinnamon, and continue to beat until the peaks are a little stiffer. To assemble, split each shortcake in half crosswise and place the bottom half on a plate. Spoon peaches over the biscuit. Top with a generous spoonful of whipped cream. Cover with the top of the biscuit and top with a dollop of cream. whipped cream on top, then place the sliced peaches on the whipped cream. Repeat with the remaining biscuits. Serve immediately. 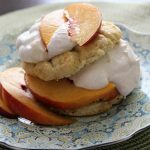 This entry was posted in Baked Goods, Dessert, Recipes and tagged dessert, peaches, shortcakes on August 28, 2017 by Andria Gaskins.